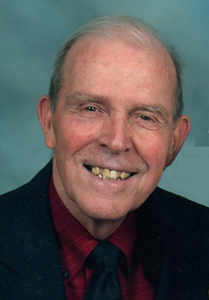 Harry Richard Taylor, 87, of Topeka, passed away Monday, December 3, 2018. He was born February 4, 1931, in Sapulpa, Oklahoma, the son of Fred Warren and Leota (Teel) Taylor. He was a graduate of Enid High School, Enid, Oklahoma and received a Bachelor’s Degree from Oklahoma Baptist University. He served in the U.S. Navy during the Korean War, receiving the Korean Service Medal for Meritorious mast for action during assault landing at Inchon, Korea. Harry served as minister of music at various churches in Oklahoma and Kansas and served for 25 years with the Kansas / Nebraska Convention of Southern Baptists where he started the “Singing Men” and retired in 2000. He was an active member of First Southern Baptist Church, Topeka, Kansas. Harry married Joela Jeanne Ewing on September 18, 1953 in Alva, Oklahoma. She survives of the home. Other survivors include four children, Richard Lewis (Tamara) Taylor, Karis Jeanne Schrag, Jana Jo (John) Gifford, and Harry R. “Rusty” (Rhonda) Taylor, all of Topeka, Topeka; 10 grandchildren, Kenzi Schrag, Matthew Taylor, Jennie Reed, Jeff Taylor, Karli Bonilla, Dustin Burgess, Shane Gifford, Kyle Schrag, Thadd Taylor and Kory Schrag; and 12 great-grandchildren. He was preceded in death by his parents; two brothers, Fred and Tom Taylor; and a sister, Mary Edith Davis. Harry loved Jesus and enjoyed leading people to worship Him in song. He was a hymnologist assisting with publication of the 1991 Baptist Hymnal. He enjoyed playing basketball, racquetball, softball, was a Golden Glove Boxer and an avid K-State fan. A service to celebrate his life will be held at 11:00 a.m., Friday, December 7, 2018 at First Southern Baptist Church, 1912 SW Gage Blvd, Topeka, KS. Interment will follow at Memorial Park Cemetery, Topeka. The family will receive friends an hour prior to the service at the church. Dove Cremations and Funerals, Southwest Chapel, is assisting the family. Memorial contributions may be made to First Southern Baptist Church. To leave a special message for Harry’s family, please click the Share Memories button above. Add your memories to the guest book of Harry Taylor. Jana and family, I was so sorry to hear about your dad passing away. Harry was one of a kind! I will be praying for you and your family. Sorry I could not be there at your dad's funeral. I am in St. Louis. When I think of Harry I always remember his great smile. I know he was proud of all of you kids. Uncle Harry was the Minister of Music and Youth Choir Director at the Baptist Church. I recall my sister Terri not able to carry a tune so Uncle Harry instructed her to "just hum." He was a taskmaster! We have many happy memories of family times spent together. We will miss his great smile, infectious spirit and his devotion to family and music ministry. He was dearly loved by all of us. I met Harry Taylor when I was a very little girl, when he first came to assume the position of Minister of Music at Nall Ave Baptist Church in Prarie Village, Kansas. My dad, Bob Lee, was Harry’s biggest fan and choir president for many years. Harry taught us all how to sing. Then he taught us how best to use our voices in praise of our God. For that and many other things I am so grateful I was able to see him a couple of weeks ago and tell him how much his ministry meant to our family, and how very much we love our Taylors. I will be praying for all of you as you say farewell, knowing that your confidence in your beloved’s presence in Eternity is completely secure and I will rejoice in the thought of that glorious reunion in the future! Family of Harry Taylor: Please accept our deepest sympathy for your loss. Harry was a very special person. Joela and he were the perfect team. What a blessing to have known him. May God speed peace and comfort to all of you. Pam and I have had the wonderful blessing of knowing Harry for over 30 plus years. Harry was a friend, mentor, teacher, and encourager to me. I am a far better person because of Harry and his influence in my life. He taught me more about music ministry and leadership than anyone else I have ever worked with. He invested his life in me professionally and personally. I will be forever indebted to him and Joela for their friendship, love and care for Pam and I. We enjoyed many years of working together in music workshops, conferences, singing with the Singing Men of Kansas/Nebraska and attending church together at First Southern Topeka. Harry was the master in leading congregational singing, and I learned and observed how he could make people sing from the heart to the Lord. That is something I always tried to emulate. He loved people and taught me to do the same. Harry was a great example of Loving God and Loving his neighbor. I will never forget the 15 years we sat together at the K-State Football games and tailgated in Wildcat fashion. We never missed a home game and could we cook! We were thrilled to no end when Lee Corso stopped by during a Nebraska game at our tailgate, of course the Cats won! We wore Purple with pride and still do. Thank you Harry for investing in my life, I am who I am today because of you! Harry and Joela were truly our biggest fans. May God continue to bless Joela and the family in the days ahead. Love you all, and Go Cats! Harry Taylor was one of the greatest servants of the Lord I've ever known. I worked with him in the music ministry and loved that experience greatly. He and Joela visited when my mother was in the nursing home and brought her cookies almost every week. He was a great example of a true servant of the Lord Jesus. I know he is at home where he will be forever. I pray that God will bless his dear wife and family. Thoughts and prayers go out to your family! Harry was a wonderful man. He and Joela were like another set of parents to me when I moved to Topeka 26+ years ago. He especially supported and encouraged me in my singing and found opportunities where I could share in that way. He always had a big smile and a good story to share. Now, he's getting to sing in a pretty awesome choir. I will miss him.